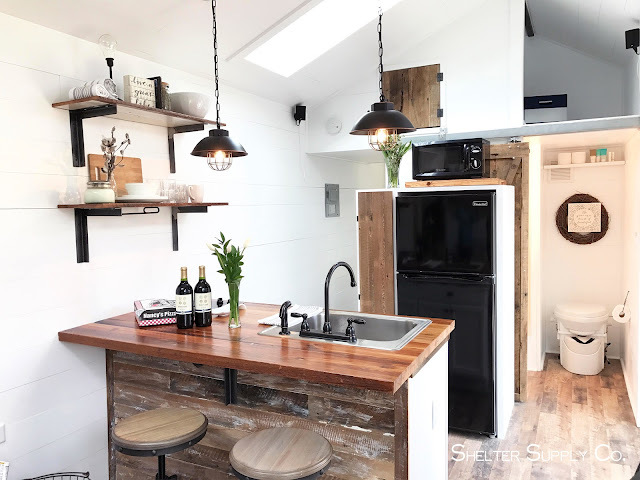 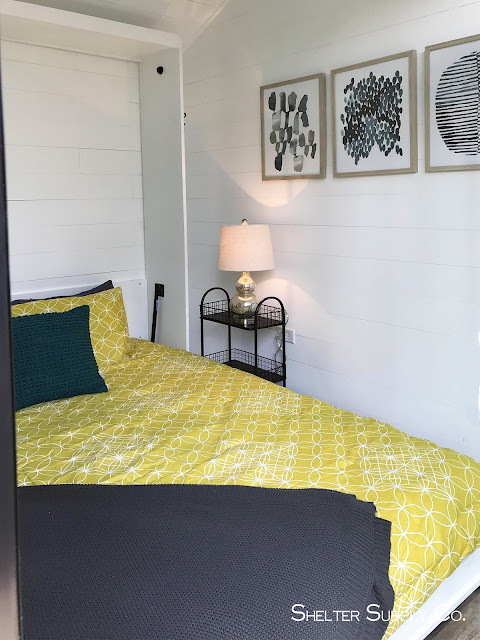 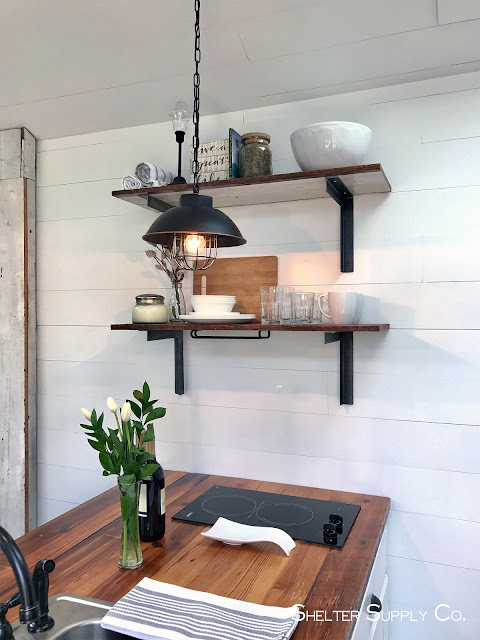 This gorgeous modern/rustic tiny home was designed and featured on HGTV's Tiny House, Big Living. 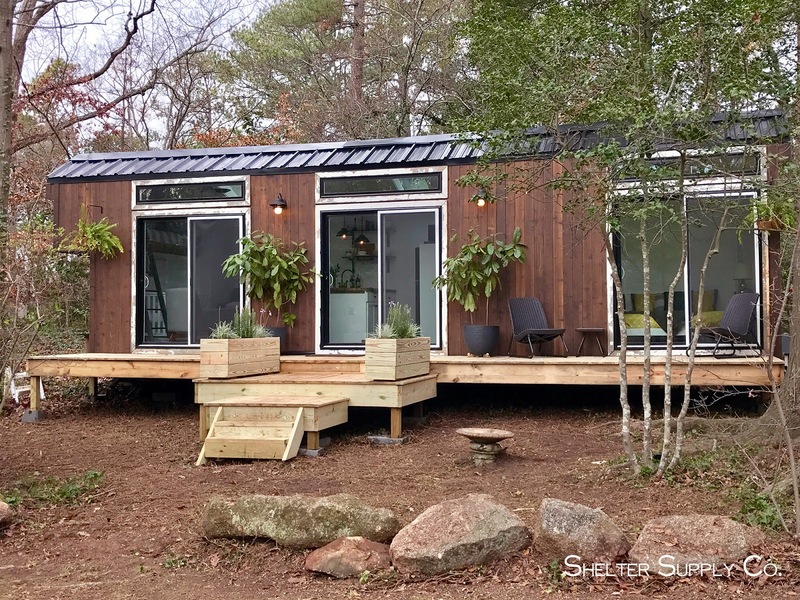 It was built for a family with two young children looking to downsize. 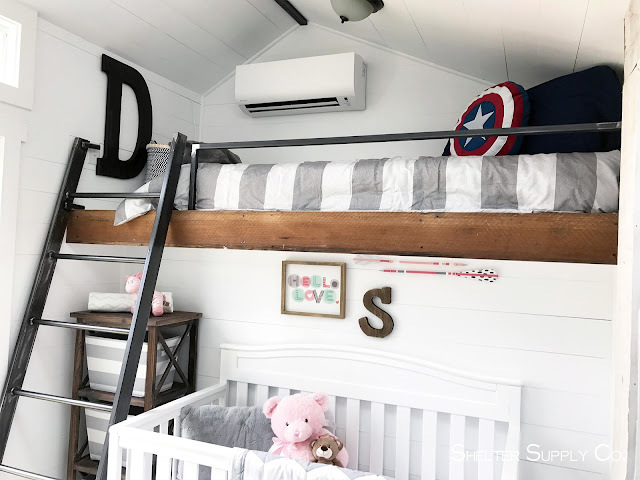 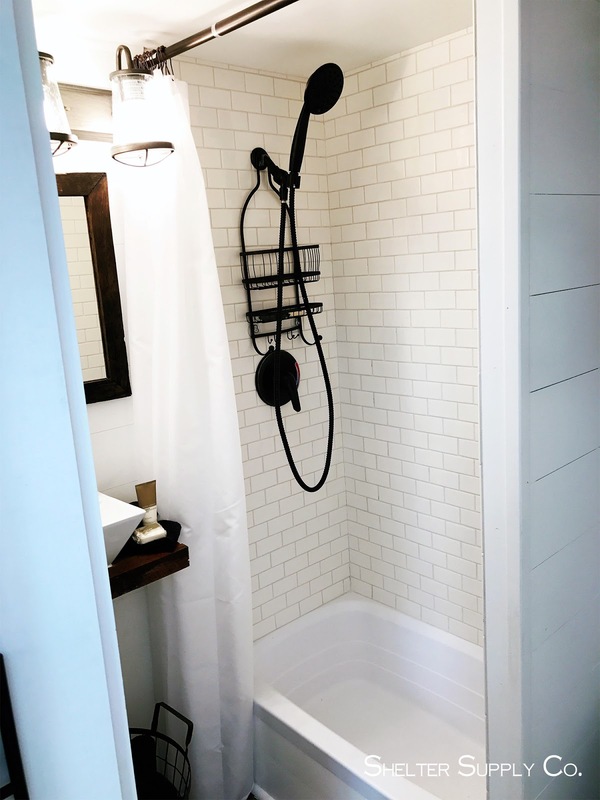 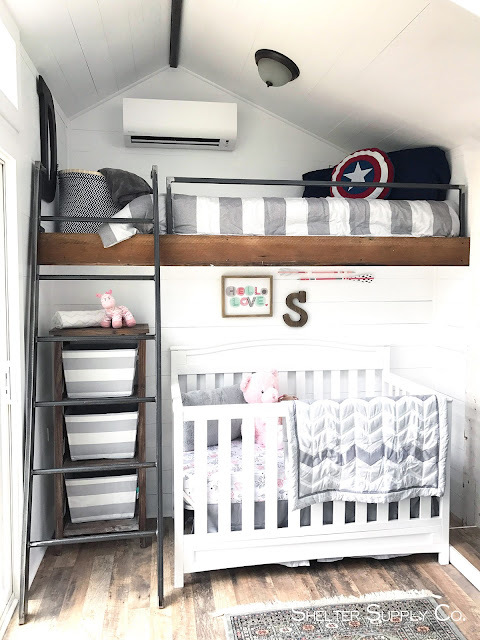 Working with Shelter Supply Co. of Villa Rica, Georgia, they were able to create the perfect family-friendly space. The home is a singular level with two bedrooms, a kitchen, bathroom, living room area, and loft storage space. 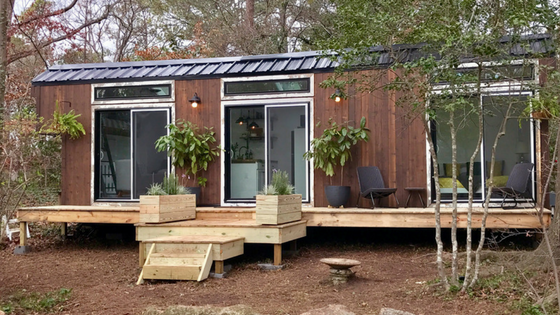 There are also three sliding glass doors to help illuminate the space with natural light, as well as provide access to a spacious front deck. 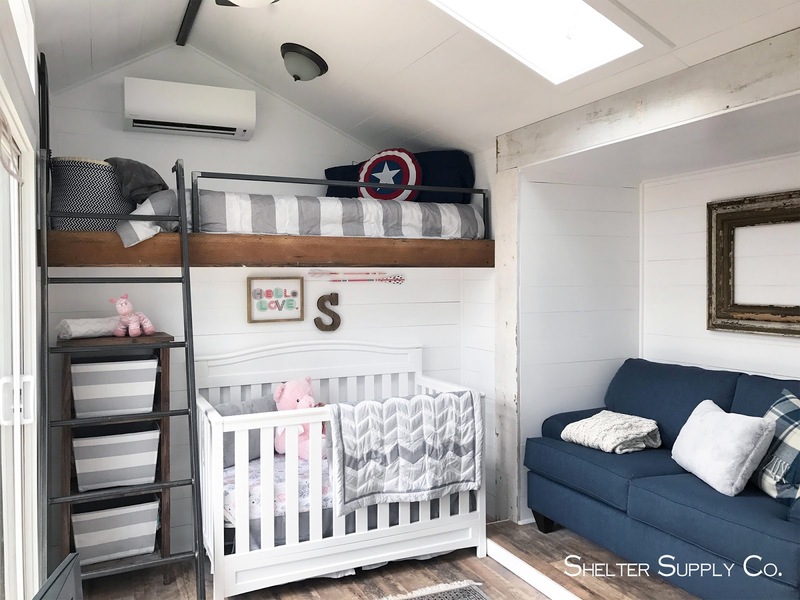 For more information on the company and/or this home, contact Shelter Supply here! Images © Shelter Supplu Co.